On Thursday, November 1st, you are invited to join the VOX and XMedius Teams and test drive the latest and greatest from the Tesla Motor Fleet at the VOX Network Solutions HQ! 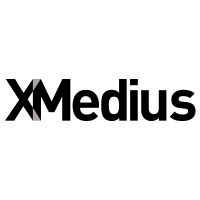 Please join us for this customer appreciation event, where XMedius technology experts will be sharing ideas, strategies, cold beverages and tasty snacks! We look forward to this fun and exciting event, and we are thrilled to provide the opportunity for you to test drive Tesla Vehicles and connect with our Team about the Power of the XMedius technology!